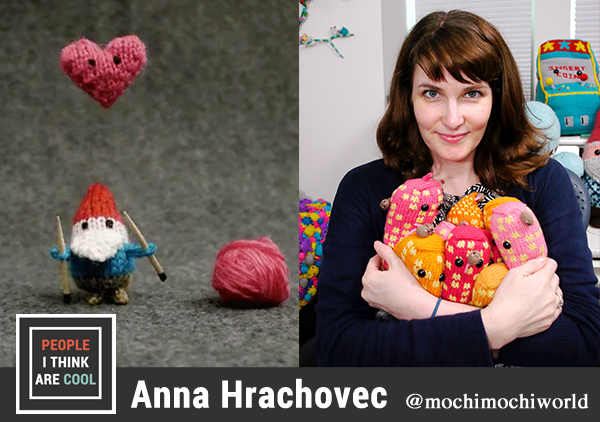 Anna Hrachovec is the creator of Mochimochiland, a miniature knitted world full of cuteness. Not only does Anna knit beautiful miniatures, she also brings them to life through animated gifts. Anna's innovation with the craft has led to some major collaborations, including Nickelodeon and Penguin Random House. In this episode, we chat about storytelling with gifs, simple stop motion techniques, and her new Vogue Knitting Live project. Follow Anna on Twitter (@mochimochiland), Facebook, and Instagram (@mochimochiworld).